Gratitude. One of the many virtues that I cherish, treasure and consciously aim to put into practice each and every day. So when it was learned that our Heidi Swapp Media Team assignment was to use gratitude as our inspiration, I was completely thrilled. 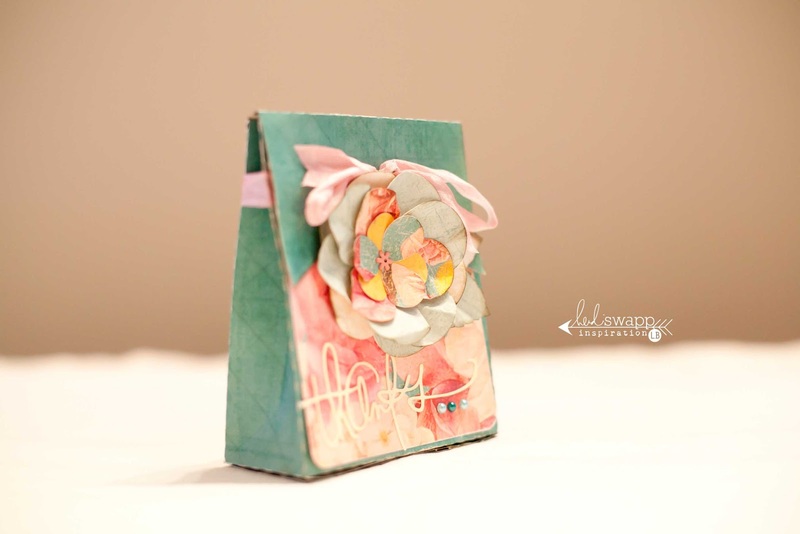 Combine that direction with amazing Heidi Swapp products and the Silhouette Cameo and voila! Total creative bliss! For this assignment I was honestly somewhat out of my "creative comfort zone". It is funny how we usually gravitate towards things that we are most often comfortable with, however the creative push and energy we can actually gain from going "outside of our box" can be such a positive and powerful experience. I feel that these projects really helped to inspire, energize and force me to look beyond what I initially am drawn to which will definitely help me so much going forward. For that alone...I am grateful. Once the project bases were cut using my Silhouette Cameo I further embellished the projects with tags, flowers and a heart that were ALL cut out using the Silhouette. Of course, NO Heidi Swapp inspired project would be complete without some of her stunningly gorgeous signature handwriting. We were lucky enough to be the first recipients of a gorgeous digital gratitude word and quote kit (that will be available soon for purchase in the Heidi Swapp Digital Shop). I cut out my words using the Silhouette adhesive paper. I adore this paper because once your image is cut out, it is just like removing a sticker. So easy to apply, absolutely no mess and truly the most perfect embellishment for any project! The precision and detail that the Silhouette Cameo is capable of is truly amazing. My third project is the gate fold card. 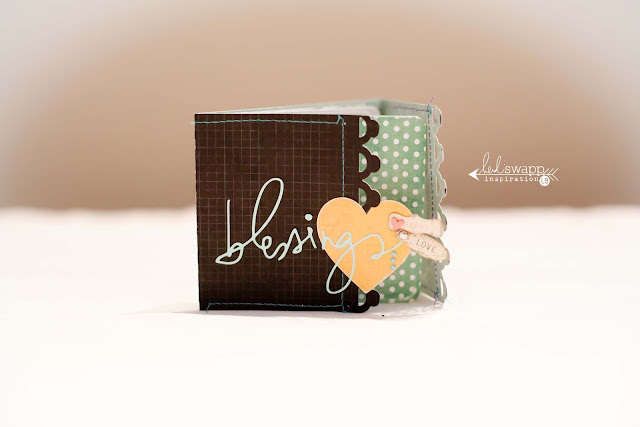 I cut out the card with my Silhouette Cameo, along with the word 'blessing' and also cut out a simple heart. 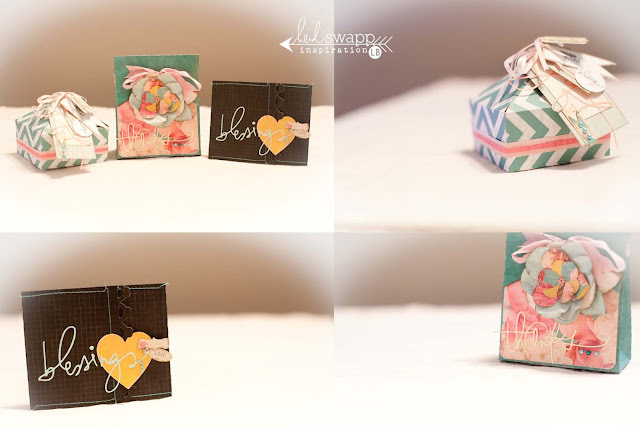 I applied these to the front of my card and added some Heidi Swapp Vintage Chic tags for an additional little detail. Again, I wanted to keep these projects simple to really showcase and demonstrate the Silhouette Cameo. 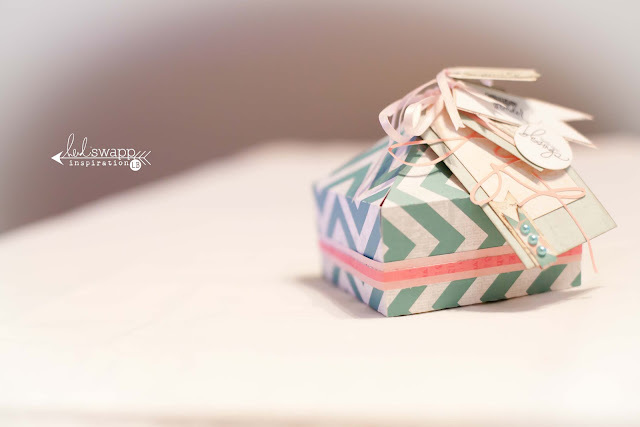 Inside my card, I added a little hand-sewn mini book which hold gratitude messages from the soon to be released Heidi Swapp Digital Gratitude kit. 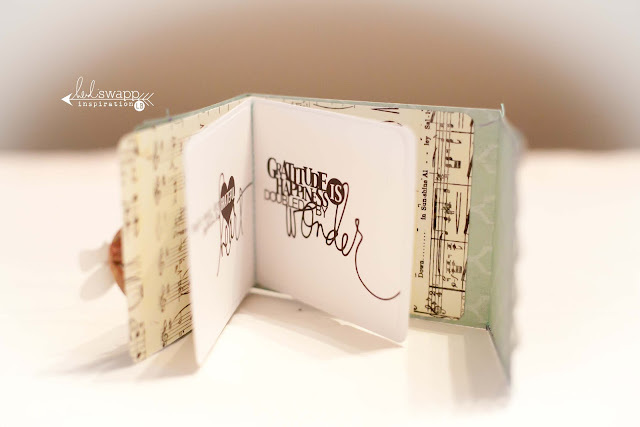 Along with the messages is also a page at the back to hold a personal message for that special someone. Using the Silhouette Cameo really opened my eyes and mind to the creative possibilities and options that this brilliant die-cut machine has. It truly is amazing and when combined with designer papers and digital designs, especially from the likes of Heidi Swapp, the results are magic! I am always looking for ideas and little ways to show my gratitude and thanks to all of the amazing and incredible people that touch my life all the time. I am so grateful for them and am definitely inspired to start creating some thank you and just because gifts to truly show my gratitude and appreciation. I hope that seeing these projects and just a fraction (and I do mean small fraction) of what the Silhouette Cameo can do you are inspired to make some pretty stuff too! Lindsay....These arae just so breathtakingly AMAZING, your beautiful attention to detail is just incredble !!! !